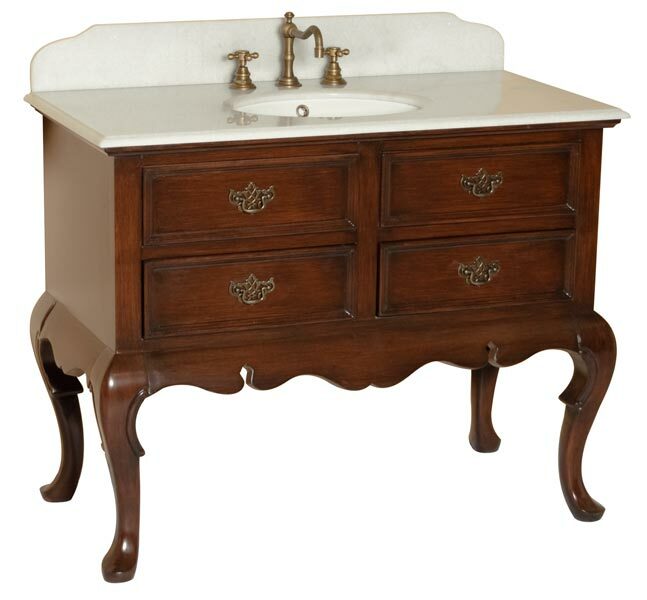 This antique Victorian style Sink Vanity offers value at a great price and features a solid wood (Birch) cabinet frame and legs, undermount white porcelain oval shape sink with overflows and 3/4" thick hand-polished Granite top and backsplash. Vanity cabinet doors and sides made of high quality wood MDF and protected against moisture and humidity with a Nitrocellulose Wood Lacquer (NC) applied for water protection and shine. Two functional drawers and carved antique wood legs. 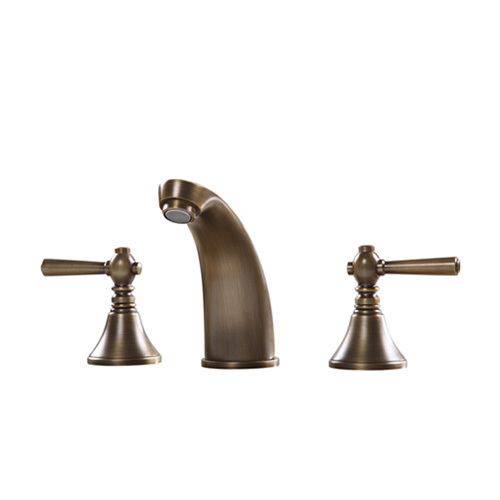 Optional 3-hole faucet & plumbing accessories in antique bronze finish. Ships fully assembled. Added bonus - Ships with matching color granite backsplash. 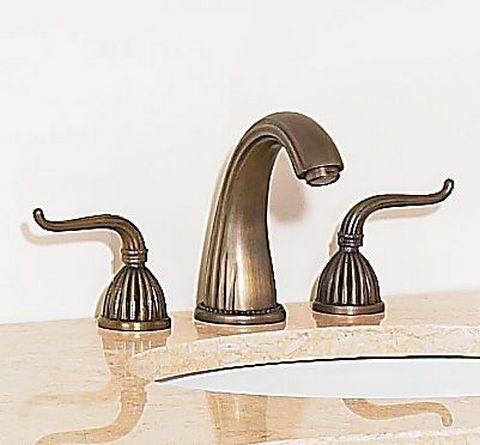 FREE shipping on Optional Victorian faucet (pictured in photo) if ordered with this vanity. 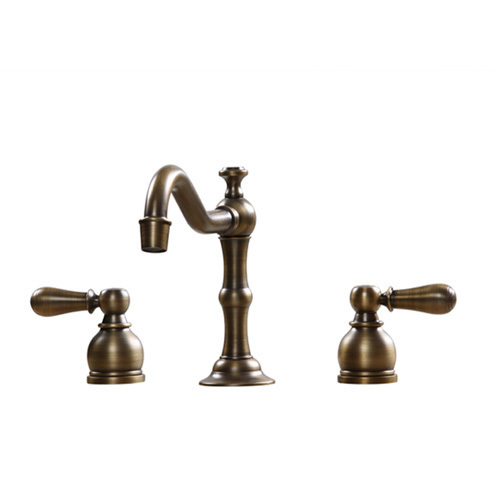 Hand crafted like fine furniture, this Bryce Victorian style sink cabinet offers a mix of fashion and function. This hand painted vanity draws on Victorian designs and is available in classic Antique Brown with off-white marble countertop. 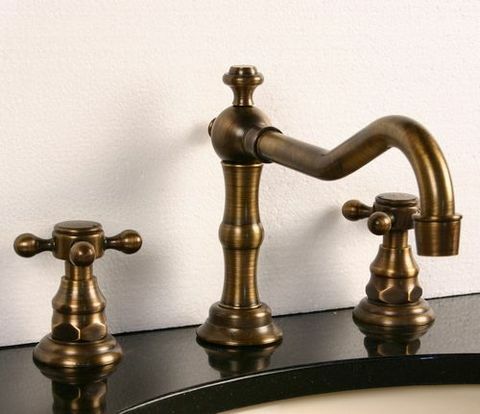 All countertops come with add-on backsplashes. Two drawers (one on the bottom left and one on the bottom right of the vanity) provide for storage of toiletries. Freight is $199.00 or less, depending on shipping destination of vanity.